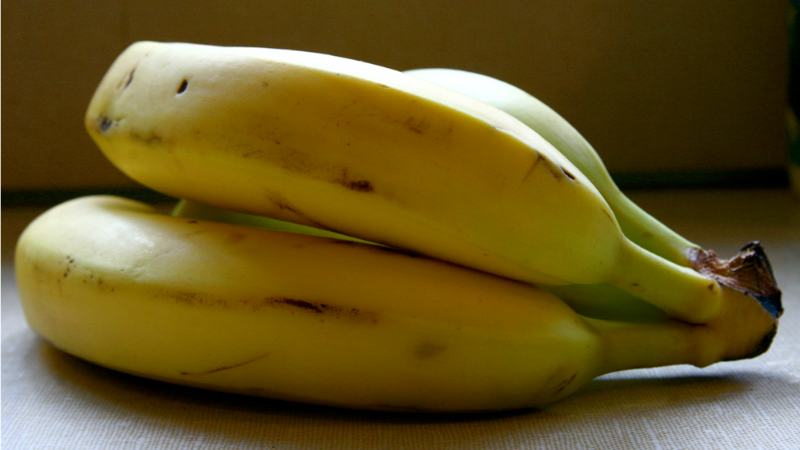 Ideally bananas should be peeled before freezing, but the world is not an ideal place, and I have been known to lazily chuck an unpeeled banana in the freezer. I thought this meant having to wait for the thing to thaw before peeling, but it turns out there is an easy way to peel a frozen banana; you just need a knife. Cut off the ends off of the banana and cut it in half. Make a slits down the sides of each half. Wiggle the thin blade of your knife under the edge of the skin; it should pop off easily. Once the fruit is freed from its frozen skin, you can toss it in smoothies, dip it chocolate or (obviously) bake up some banana bread.